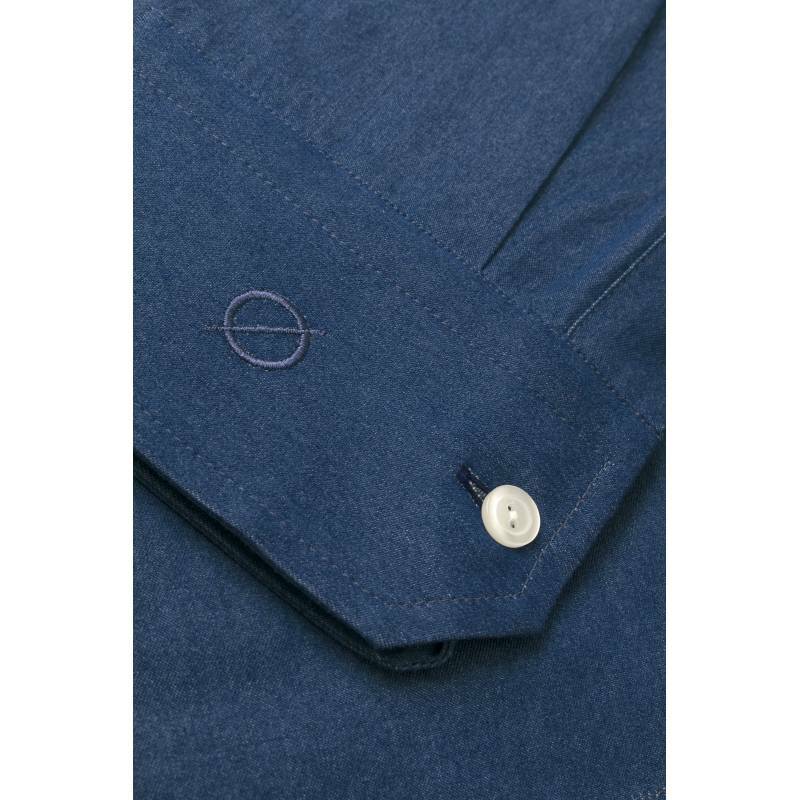 Long length sleeves 68 cm. 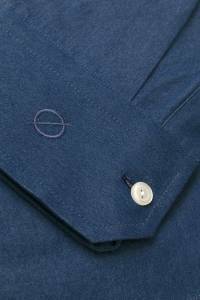 Aspen finds its inspiration from the Chic-Issime resort in the US. 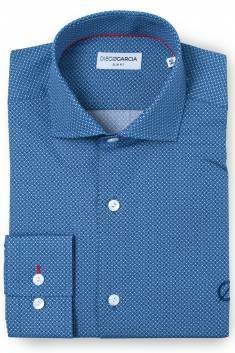 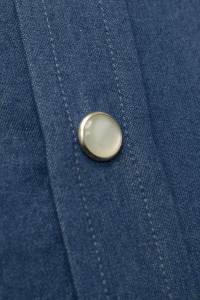 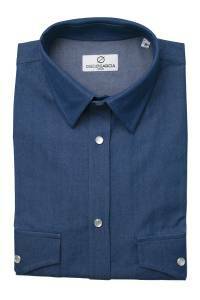 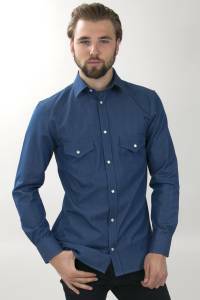 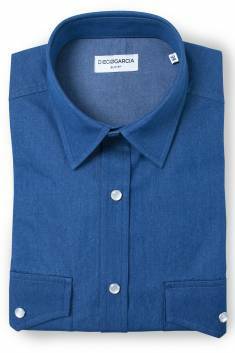 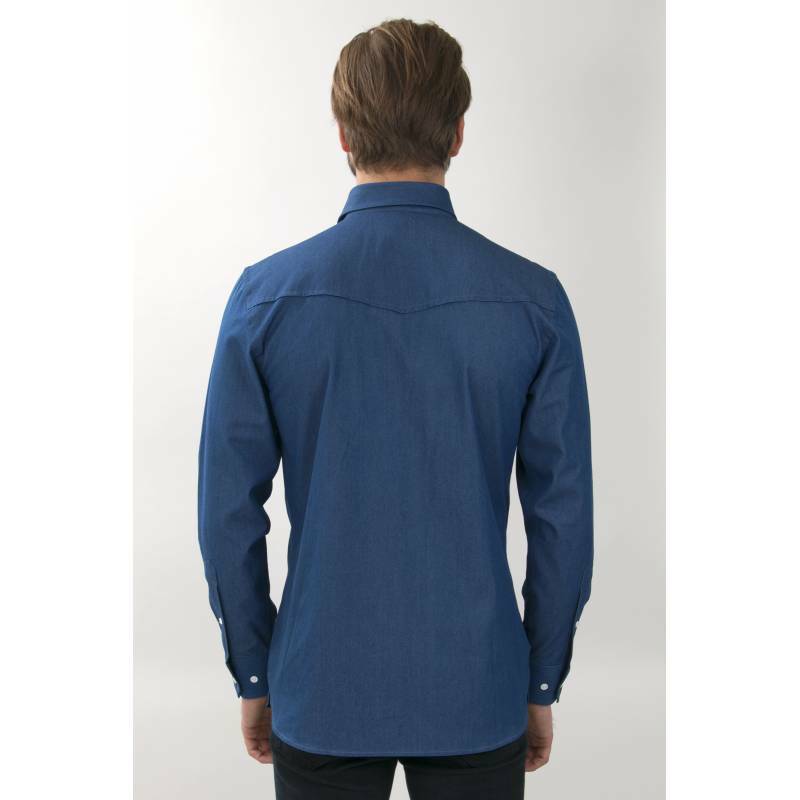 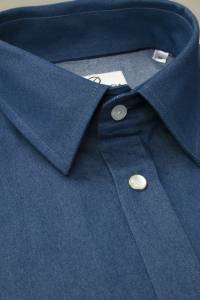 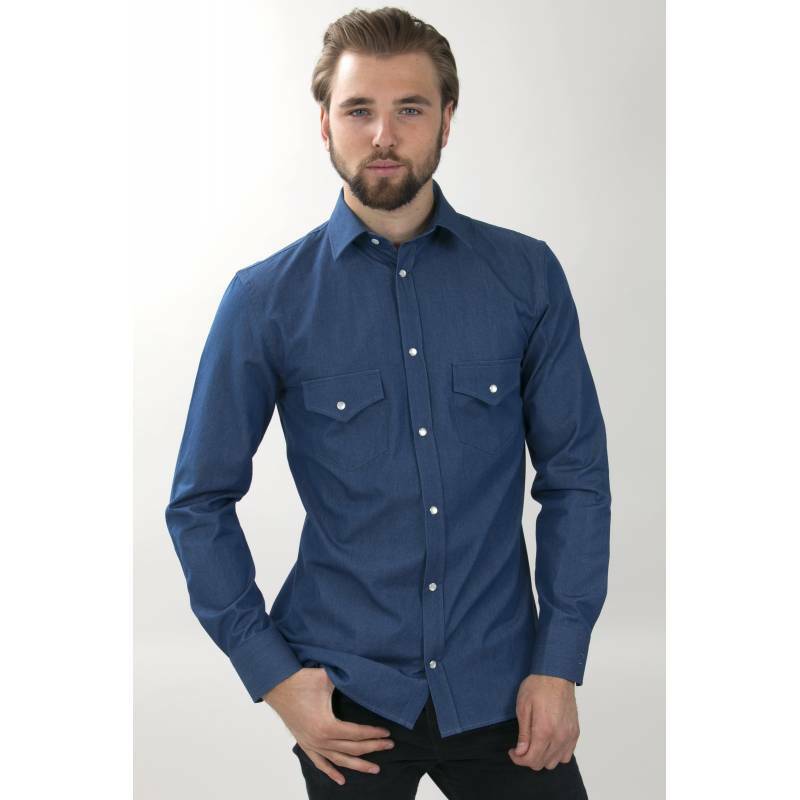 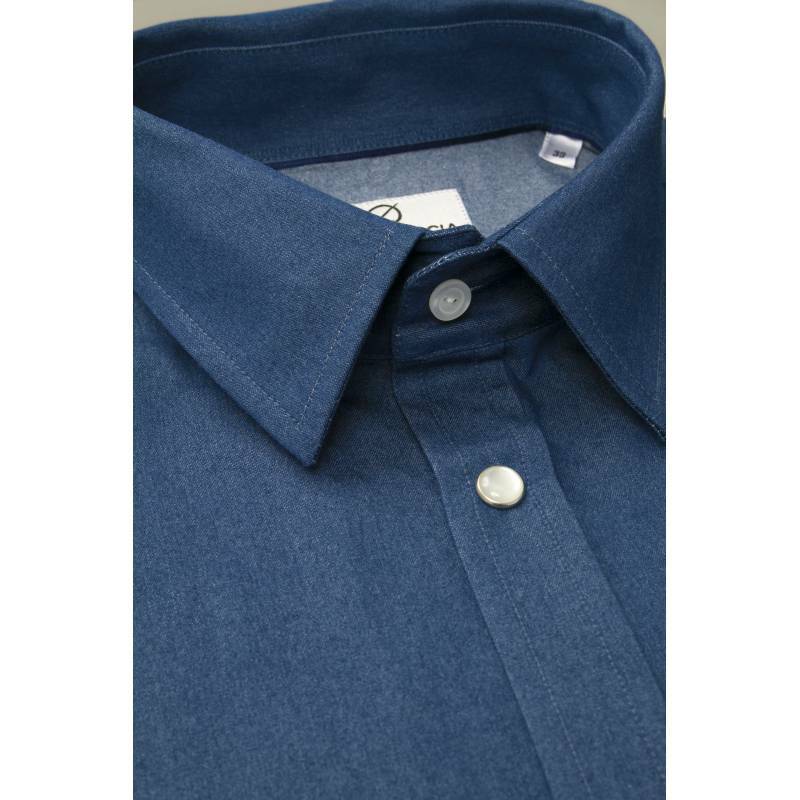 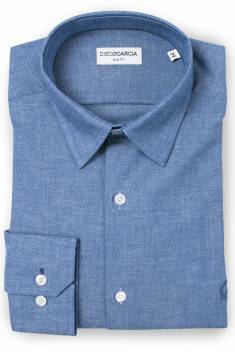 It is made in an Italian denim (100% cotton) in blue and has a casual style with two breast pockets, soft collar, button cuffs and pearlescent white buttons. 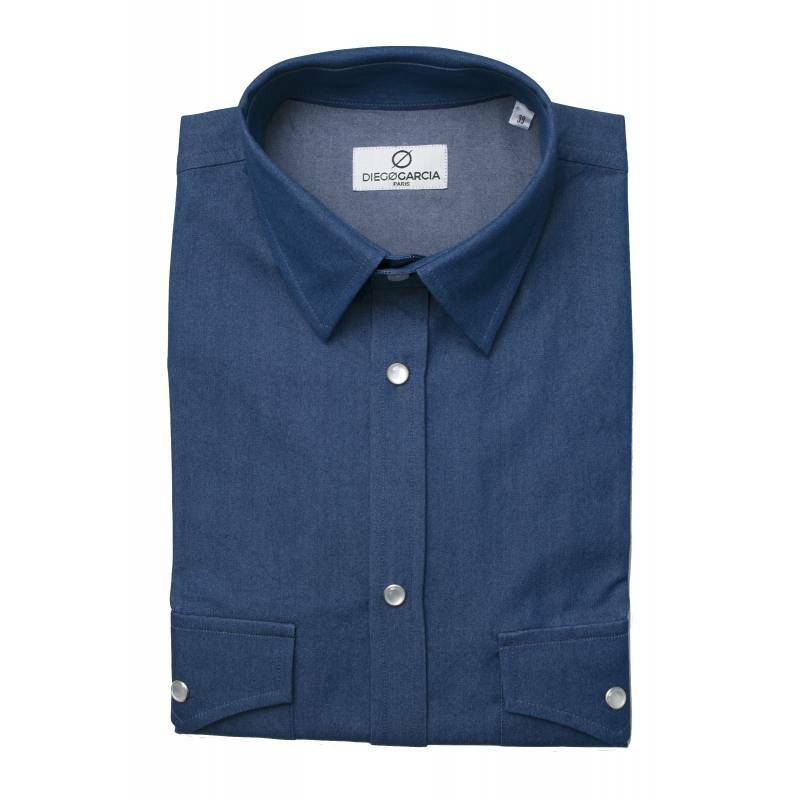 Beautifully finished with an embroidery on the left wrist, a blue collar and a topstitching with blue collar and cuffs. 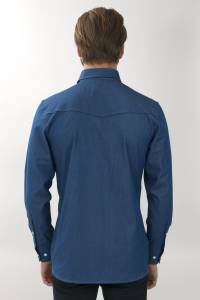 Our model is 1.87m tall and wears size 39.